Honors education offers students challenging experiences and teachers a laboratory for educational innovation. Successful innovations can stimulate other teachers to experiment and improve their educational practice. This requires that innovations become known to other teachers. 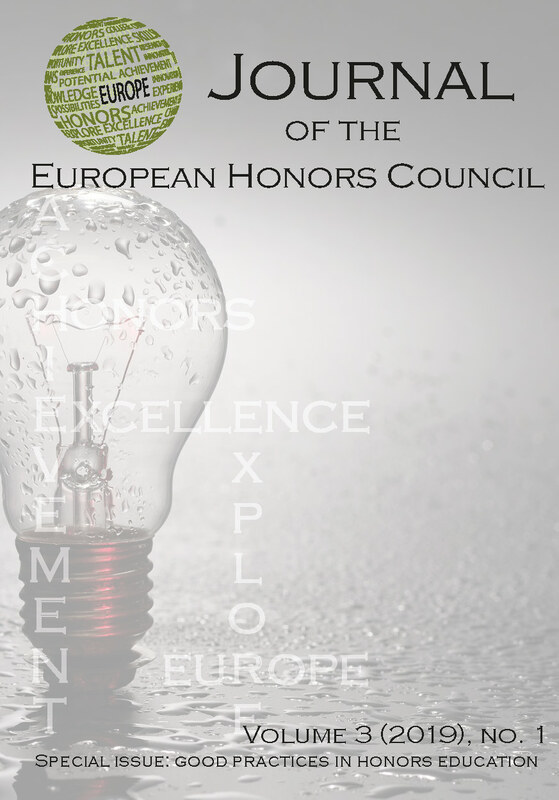 For this reason, a project on good practices in honors education has been started in The Netherlands, where good practices in honors education of universities were described and published on a website of the Dutch Honors Network. Until now, 19 good practices are described, 17 from The Netherlands and two from the United States. Nine are selected for this issue. In this introductory paper, the good practice project and research about good practices are described. Different views and principles about honors education are discussed. A series of keywords to bridge the different views and the principles with the nine good practices published in this issue are presented. An analysis of the collected data of the good practices is carried out, followed by conclusions, discussions, and reflections. It appears that six good practices already led to innovations elsewhere in curricula.